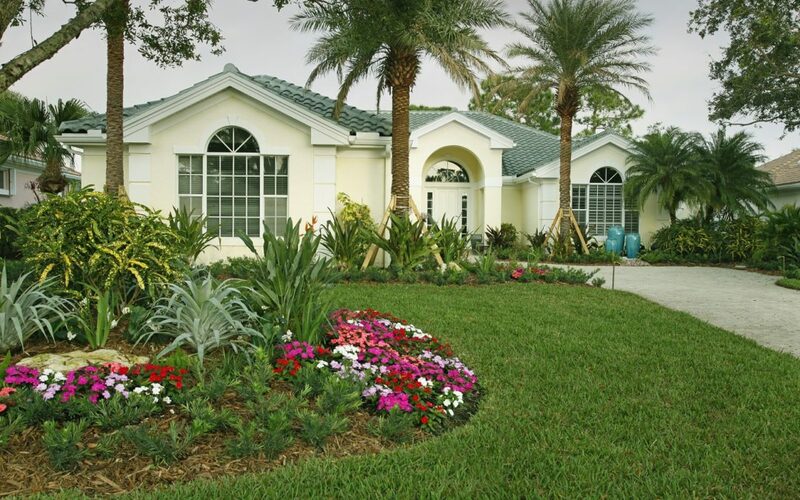 The Roberts Project was especially memorable as Mr. Roberts had two separate landscaping companies within the past 24 months complete major renovations on his Willoughby Golf and Country Club property located in Stuart, FL. Unfortunately, both of these past companies completed sub par work which didn’t reflect what the Roberts’ wanted and didn’t hold up for long term sustainable use. The property sits on the 13th Tee of the exclusive Willoughby Golf Course. Mr. Roberts wanted his home to give his fellow friends and golfers the best view on the course. But completing this project was not something any landscaping company could have done. Organic Solutions in Stuart worked directly with the superintendent of the Willoughby Golf Course to design a landscape that not only exceeded the Roberts’ expectations, but also matched the existing design and functionality of the golf course itself. The layout of the home on the golf course presented special challenges in using our equipment and gaining access to the backyard. In fact, we had to access the backyard through the fairway on the golf course in between live play during the busiest time of year! On top of that, our equipment was not allowed to leave any indentation on any part of the course and had to have a path of plywood put down the entire way! This is the type of care and attention to detail our clients expect from Organic Solutions. Mr. Roberts wanted color and a beautiful gardenesque setting. Organic Solutions brought in around 800 – 900 annuals and used kid and pet friendly materials to complete the project. We also added over 30 one of a kind plant specimen found no where else on the Treasure Coast. The water feature in the front yard uses custom pottery with a 3 tier display and had to be hand made and timed to allow for symmetrical flow. The basin was hidden under the rocks to allow the fountain to overflow over the pottery. The project included extensive lighting throughout and was designed not only to look great from the 13th tee, but to also provide Mr. Roberts with equal views of the action on the course. There were over 30 different species of exotic plants and palms used, and at Mr. Roberts request, we synchronized holiday lighting into the entire project to give the property that holiday glow during Christmas time. To this day, Mr. Roberts sends us emails raving about his exclusive landscape and how it makes him feel. Life is Good is his motto and seeing how it turned out, we wouldn’t have it any other way.